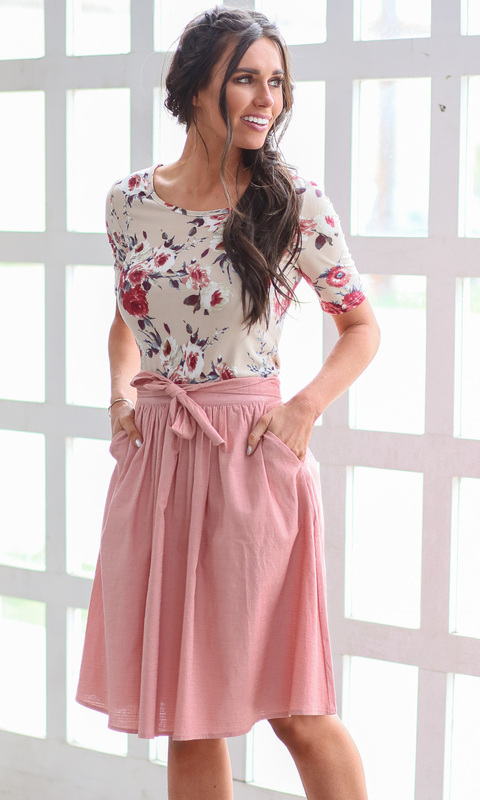 This beautiful a-line skirt is so comfortable and flattering! The dusty pink color is so pretty & feminine. Elastic waistline with a cute tie detail plus side pockets, wide pleats and soft, flowing fabric will make this a new favorite for sure! Worn here with our Blush & Sage Floral Top, Sand w/Dusty Blue & Pink Floral Top and Olive Floral Top. Length: XS-S 24.5", M-L 25", XL-2XL 25.5"